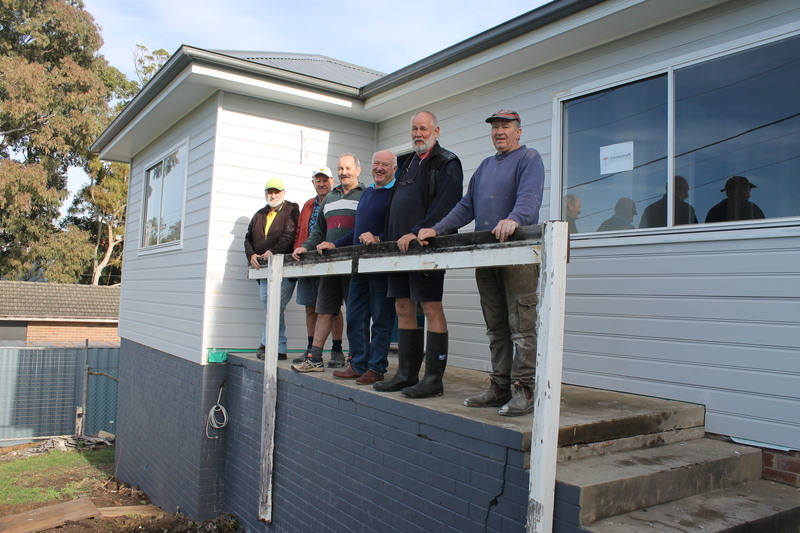 After some early setbacks, progress on the renovations at the Lions Carers Cottage in Shoalhaven Street has accelerated, both internally and externally, with the Club hoping to have work on the cottage completed in September. The project, which was started in March 2017 as a Lions Centenary project, is turning a Council owned house into a respite retreat for full-time carers of the chronically sick to have a holiday by the sea. “Research has shown that the work of full-time carers is often challenging, stressful and exhausting,” says Lions Jerry Granger-Holcombe. On the outside, a new roof has been fitted thanks to Timms Roofing, incorporating new gutters, drainpipes, sky light, light tunnel and solar hot water system. The exterior cladding has also been totally repainted by teams of Lions, risking life and limb on the scaffolding. Inside, thanks to the Big River group, a new floor of cypress pine has been laid throughout. Gyprock has also been installed and plastered and electrical and plumbing systems fitted. Teams of Lions from all three local clubs have been installing architraves, doors, cornicing and skirting boards. The land behind the cottage has been cleared and levelled in preparation for the car parking area. The next phases will include the construction of large front and rear decks, waterproofing the bathrooms, painting the interior, tiling and gravelling the car park. Then comes the final phase of adding furnishings and fittings, and landscaping. “All this will take more time and money,” says Jerry.